" " wisno wood furniture finishing: Cast iron furniture. Iron to make furniture is quite common. 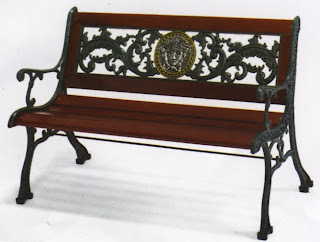 There are many iron furniture are available in the market either the fully iron product or in combination with wood, rattan or other natural substrates. There are two processes to shape and form the iron, the casting and wrought. The cast iron is when the iron is melted and then poured in a mold or mattress; when it is cold and harden, then the iron product with special shape and object is resulted. The iron melts at very high temperature (about 1350°C), then a special furnace with high energy consumption is needed. The special equipment and expertise people is also needed to handle the hot melted iron. The precise mattress is very important tool to make the good shape and precise result. The imperfectness the casting process will create the incorrect product form as well. The cast iron for furniture. The casting process has advantages since he can produce variety of shapes and sizes. It is available to make iron in many shapes and motifs such as: floral, animal, and other three-dimensional shapes. 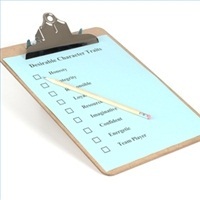 This casting process is often done in combination with wrought iron, to produce furniture. 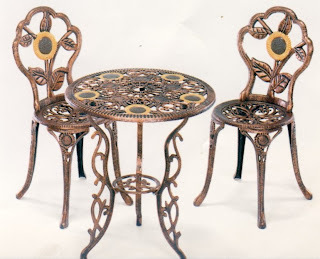 Cast iron can be used to make components to make furniture in combination with rattan, wood or other natural materials to produce the unique and special models. The casting process is considered a mass production process, when the mattress is created; we can make many products with same sizes and form in big amount. Finishing process for the cast iron. The touch-up to make corrections to make the proper and neat forms is needed as the first step in the finishing process. We can do sanding, filling and sandblasting to clean up the iron surfaces and to correct the form and shape of the iron product. After we got a proper shape and smooth surface then we need to layer it with the coating material soon. The cast iron is highly reactive to the water and oxygen. The iron product that is exposed in the open air will immediately react with air to form rust. Coating with the right finishing materials will cover the surface of the iron and prevent rust. Several types of finishing can be applied to the cast iron furniture to provide the protection and decoration to the cast iron furniture. The powder coating or electroplating finish will give a very strong layer, high resistance to the scratch, chemical and solvent, but it is limited to the clean looked and plain finish. If the fully decorative finish is needed, then we can use the NC finish system. The n.c. finish with many special effects can be generated with the application of glazes and stain. Whatever type of coatings and finishes are used, the pretreatment and surface cleaning is very important to get the maximum adhesion. The mechanically pretreatment process to clean the dirt or rust on the surface can be done by sanding or sandblasting. The cleaning with solvent is also needed to clean the surface form any chemical or dirt just before the coating application.